All of the techniques of yoga - movement, breath, meditation - are really designed with one goal in mind: to free ourselves from the ways in which we fail to see clearly. The om symbol itself is a beautiful and succinct visual representation of our states of consciousness and the veil that obscures our perception. The premise is something like this: many of us live in illusion, misunderstanding who we are, misidentifying ourselves with the little “I.” We think too small. We unconsciously move through the world from a place of separateness, filtering each moment through a mind jumbled with old ways of thinking picked up along the course of our lives. One of our responsibilities as yogis is to continually scan the stories and mental patterns (samskaras) that shape the lens through which we perceive the world. . Unless we live in a cave, it’s nearly impossible to move through life without picking up a collection of viewpoints and conditioning. By adulthood, our lens of perception (citta), can become quite muddied. Some of us spend our entire lives never examining these patterns, only making them stronger by continually revisiting them. Yoga, on the other hand, challenges us to disrupt our patterns, to discern whether our mental loops are true or useful, and to let go of the ones that do not serve us. And though it may seem easier to not do the work, the benefit of remaining dedicated to our practice is huge. Over time, we begin to shed our samskaras. We become more adept at meeting the world with greater clarity, authenticity, and openness. This is where life starts to get really good. We begin to effortlessly create and express what we were meant to share with the world. We become steady and sure of ourselves. We get out of our own way. We fulfill our dharma. . This is what drives us to return, again and again, to our mats. Thank you, as always, for doing the work and choosing to practice with us, Evolution yogis. We’ll see you in class. Each time we come to the mat, yoga invites us to engage in an exploration of opposing forces. A well-crafted practice will draw us to center - the place where we are neither too far in one direction or the other. One of yoga's most commonly explored pairings is that of steady, persistent effort (abhyasa) on the one hand, and non-attachment to the end-result (vairagya) on the other. Steady, persistent effort, without the pairing of non-attachment, sends us into an endless cycle of seeking more and more, where nothing is ever enough. Complete non-attachment, devoid of effort, on the other hand, leads to inertia. Finding the balance between these two is challenging to say the least, and that's exactly why yoga is a lifelong endeavor. So, here's to endeavoring to strike the perfect balance -- coming back to the mat, again and again, engaging in this beautiful practice, softening into acceptance, and noticing how the balance plays out beyond the mat. Happy New Year, yogis! It’s that time of year when so many of us set out to approach our lives anew and set the elusive new year’s resolution. This year, how about approaching 2019 with yoga’s version of the new year’s resolution - an Intention. Resolutions involve control, sheer will-power, and often fail. Just as force does not work well in asana practice, this rigidity in the mind often fails to deliver effective change in our lives. Yoga practice, on the other hand, invites us to get quiet and listen deeply on the mat, on the meditation cushion, and throughout our lives so that we can begin to notice the impact of our habits and align with those daily practices that serve us and those around us best. Setting your intention for the year ahead (or for a shorter period of time) from this place of awareness is an effective tool from our yoga practice to guide us along the course of life. 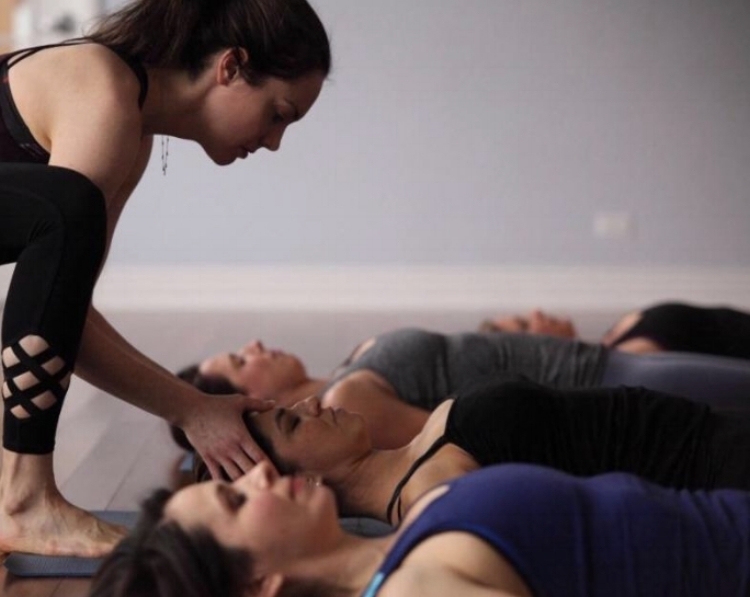 This weekend, we invite you to join us for Debbie W’s New Year Restorative Yoga, in which you will enjoy an extended restorative practice, intention setting for the new year, and optional reiki. Between weekly classes and upcoming special events, we have lots of opportunities to stay connected to your intention in 2019. Check out evolutionyogaglenview.com for our full schedule. Looking forward to practicing with you in 2019, Evolution yogis! We are entering the holiday season, a time of celebrating and connecting with those around us. Although yoga may, at first glance, appear to be a way of escaping the stressors of our lives (and there are more of those this time of year! ), it is truly a practice of connection, both within ourselves and, much like the intention of the holidays, with each other. At its most fundamental level, yoga guides us to identify less with what separates us and see more clearly what connects us. We express that sentiment at the end of class with a “namaste,” and we strive to carry it with us, seeing and appreciating the world and people around us throughout the holiday season and beyond. In addition to our weekly yoga class schedule, we have loads of special events and workshops, suitable for all levels of practitioners and yoga teachers coming up this winter. Check it out at evolutionyogaglenview.com. 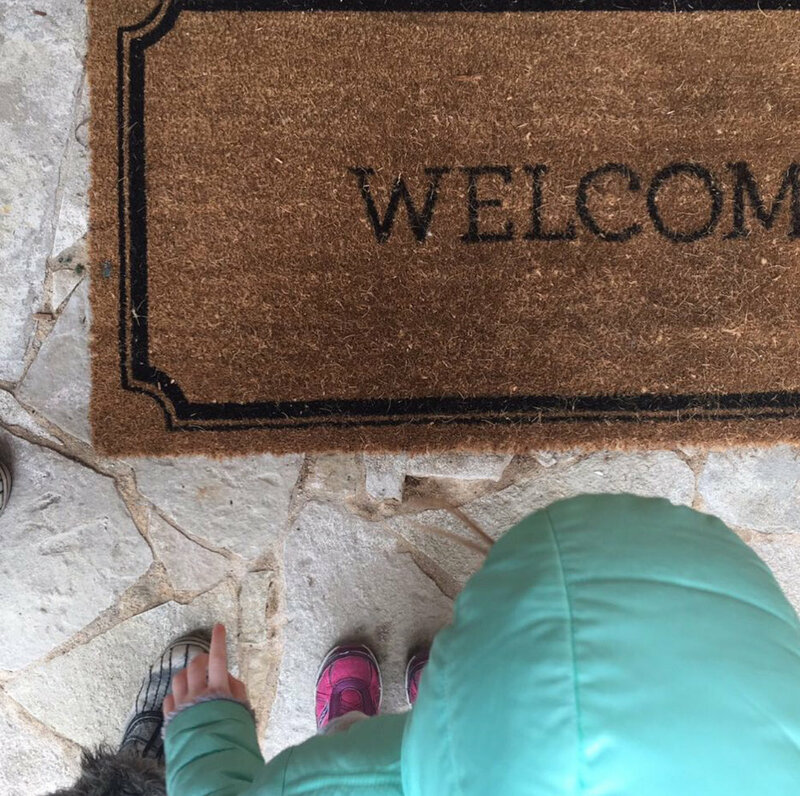 Thanks for connecting with us on your mat this holiday season! We often think of yoga as being poses on the mat, but the best part of the practice truly happens outside of the studio. Yoga and meditation hone our ability to pause, hold our thoughts and emotions up to the light of discernment, and meet each moment with greater awareness. While I have missed the mark in many moments in my life, in this particular one, I was able to catch myself. I could clearly see my impulse to get inside the house for what it was. The truth was I did have time. My work was under control. And while there are always more items I can check off my to do list, if I fail to see the moments in which I can connect with people around me, especially those I love, I am truly missing out on life. I don’t practice yoga to attain enlightenment and float off into the ether. I practice yoga to become more fully grounded and present in my life. In this particular moment, my yoga practice allowed me to see past the busyness of my mind and connect with my daughter. That’s something worth practicing for. Yoga: Self Care Practice or Something More? Yoga is often presented as a self-care practice. We are told that if we practice yoga, we will feel better, get stronger, reduce stress, etc. And while those things are true, to me, this view of yoga is incomplete. While our initial experiences of yoga may be centered on the impact it has on ourselves as practitioners, with time we begin to see that its potential reach runs much deeper. Through yoga, we become more attentive to the breath, the sensations in the body, and the inner workings of the mind. Our practice develops into a moving meditation in which we are gently guided towards identifying less with the persona we present to the world. We become more fully connected with what remains - what yogis call the Authentic Self. When we practice with dedication and an open heart, we experience a sense of union within and without. And at the end of a practice, when it’s time to step back out into the world, we never forget the truth that we see while on our mat — that we are whole, that this world is beautiful, and that we are connected to everyone and everything around us. Yin yoga encompasses the yogic aspects of breathing, meditation, working with energies/emotions, BODY AWARENESS, and the practice of changing how we relate to our egoic thoughts with emphasis on breathing and meditation. Yin teaches us to CONNECT and creates the environment and opportunity in which to do so. We learn to connect with our breath, our bodies (physical being), our true selves (spirit) and with EACH MOMENT of our existence. 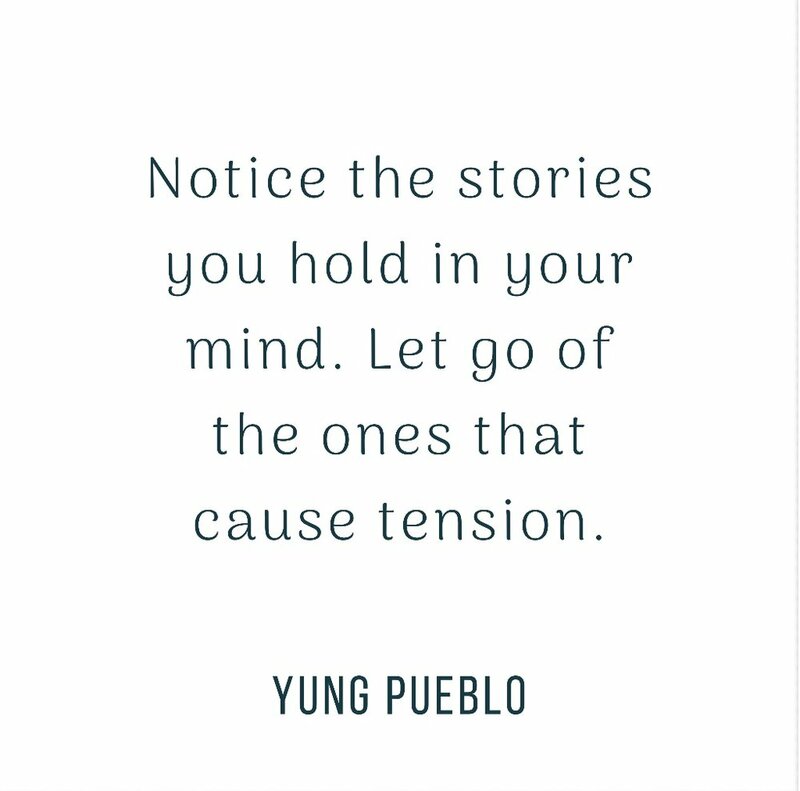 We learn how to RELATE to our thoughts rather than just REACT to them, getting caught up in our mostly negative stream of mind stuff and getting distracted. Dealing with the mind/ego relationship is usually the most challenging for yoga students, not just with an asana practice but with all facets of a yoga practice. 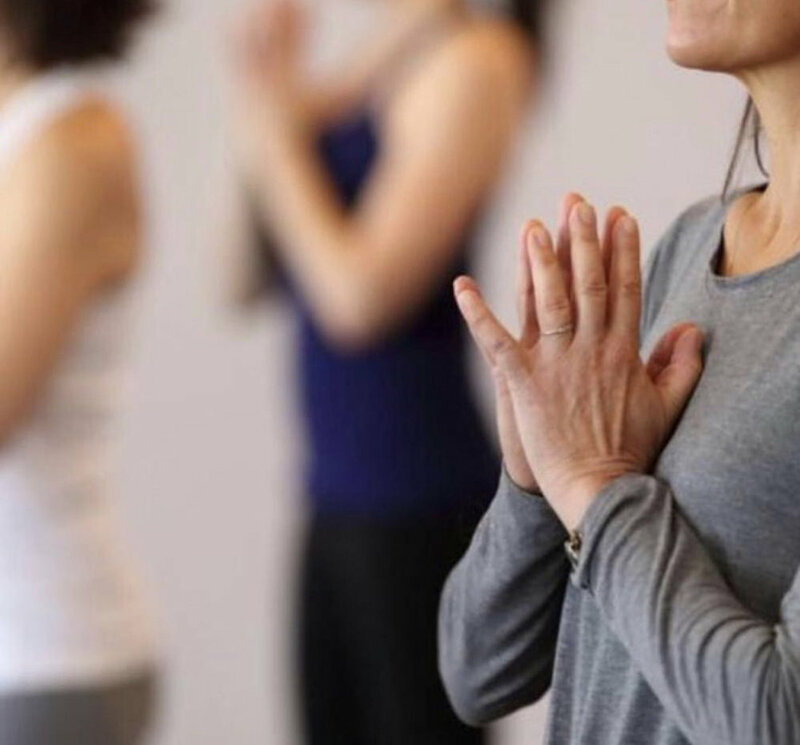 In a yin yoga practice we work on letting go of judgments and expectations, becoming more fully present moment to moment, concentrating on the practice in each moment while being patient and compassionate with ourselves. We try to embrace and incorporate the ideas of satya (being truthful) and ahimsa (non-harming) and move towards the just “being (in the moment)” rather than always “going and doing”. The yin practice helps us to be with ourselves without distraction, which, in some cases, can be a scary proposition. This is where a good teacher comes into play. That teacher can work with a student and help guide them through a safe and productive practice. A good teacher can help guide the student as they make their way along their path, hopefully towards a more balanced practice and a more balanced life. As our bodies find that balance, so does our mind and we become less reactionary and more observant. As our mind slows and becomes less cluttered, we gain more clarity. Many times, I have students come up after class and tell me they had no idea where the time went – it seemed like we had just started our practice. This is a good indication that a student is starting to get out of their thinking mind, and instead they are starting to become less distracted by their thoughts. When you’re in your head, caught up in your thoughts, being distracted by those thoughts and perhaps just waiting for the practice to be over (so you can be distracted somewhere else), you’re more aware of time. When we are just “observing experience” (breath), we can lose sense of time’s passing and live our practice more fully, moment to moment, indicating that we are more fully present in each moment, more fully immersed in the meditation that is our wonderful yin practice. I’ve never been a positive vibes only/rainbows and unicorns yoga student or teacher. In my mind, yoga acknowledges and embraces the full range of human emotion. It asks us to bear witness to both the light and dark within ourselves. And its accompanying practices gently, over time, direct us towards the place within each of us that is capable of observing our passing thoughts and emotions. The true gift of yoga - far better than any fleeting “vibe” - is that with time and dedication, we become steadier and more focused. It’s not that we stop having emotions. Rather, we are training the mind so that we find ourselves being swept up and carried away by thoughts and emotions with less frequency and intensity. All that we are asked to do is continually revisit the practices with dedication and an open heart.